With 10:10 to play, the gutsy U of L Cardinals were still neck and neck with the #5 Volunteers of Tennessee. A Christian Cunningham driving reverse layup had pulled them back within a digit at 65-66. Dwayne Sutton snared the carom of a Jordan Bone missed trey, turned upcourt with his mates breaking out. The developing 5 on 3 fastbreak was not to be. Vols Kyle Alexander and Grant Williams had butted heads going for the rebound, and lay on the hardwood, clutching their noggins. A ref stopped the action. TV’s Fran Fraschilla explained the new rule that allows officials to whistle play dead if it appears that players are in peril. It was not an unreasonable call, if that’s the new procedure. One would hope the NCAA, which feels compelled to tweak too many rules every season, will mandate benching in such a situation. It only seems reasonable. The upshot is that U of L was denied a golden opportunity to take its first lead since 33-31 in the 1st. Though a significant moment in the action, it was not a game changing play. But it did stop the Cardinals’ momentum. U of L did tie the tilt a few moments later at 68. After which, Rocky Top’s talent, experience, dominance in the paint and on the boards, along with Cardinal turnovers and weariness and inexperience prevailed. On this very night and in this very city in this same early season tourney in 1985 — NIT, NYC, Thanksgiving Eve — U of L fell to the #5 team in the land, Kansas. Two nights later, the Cards lost again to Top 20 St. John’s. 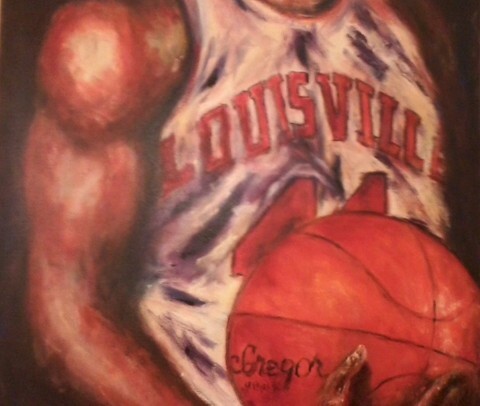 Coach Denny Crum was not concerned, accepting that the Cards had fared pretty well against top flight foes. His lack of worry proved prescient. That season ended just fine for Cards, cutting down the nets in Dallas and all. Chris Mack’s first Cardinal contingent will not win the NCAA. It will be a successful season, it says here, if they simply make it to the Dance. I have seen Malik Williams and Steven Enoch and Akoy Agau, and they are no Pervis Ellison. I have seen V.J. King, and he is no Billy Thompson. Ellison and Thompson and Milt Wagner and Jeff Hall ain’t walkin’ through those locker room doors these days. What I do mean to say is, despite Coach Mack’s justified displeasure with the Cards D, Tennessee’s 44 points in the paint and 23 points off turnovers, and the loss in a game that arguably could have been won, U of L didn’t play all that bad against a legitimately outstanding five. The still improving Cards were tested. I would be most surprised if the improvement curve does not continue upward. While the inexperience of Enoch and Williams was laid bare, the peripatetic Agau’s maturity was on full display. He carved space underneath, playing far and away his best game as a Cardinal, either stint. At lunch earlier this week with fellow Card fans, I joked that AA was not even 98.6 off the bench, but more like 97.2. I was wrong. He’s never going to be a super big factor, but, until U of L’s other two bigs toughen up, Agau’s presence will be meaningful. The Cardinals’ difficulties with Mack’s preferred defensive scheme, the pack line, was also spotlighted. It, frankly, wasn’t pretty. So much so, Louisville played a 1-3-1 for a number of possessions after the break. Might we see more of that as this season wears on? V.J. King remains an enigma. For all of Jordan Nwora’s scoring and rebounding — he led the team in both against the Volunteers — he still has miles to go before he’s as complete a player as he could become. Eight turnovers is, shall I say, disturbing. On the other side of the eight ball are Darius Perry’s 8 assists. And his in your face D. And his unrelenting intensity. Which he shares with Dwayne Sutton, who drained 4/6 long balls and grabbed 5 boards. One dynamic struck me most about this game when it was still in doubt down the stretch. The Cards never were able to fully tighten up. U of L never got a stop when they pulled even or within a point. OK, maybe once or twice, but that was it. Several places in my game notes, I jotted down “gave points right back.” It will be disappointing if that isn’t corrected as this young season progresses. Bottom line: U of L, playing a C+ game, stayed with the #5 team in the country. Learn from it, and move ahead. Next up: Triple shooting happy Marquette.